By Clinton County Health Dept. WILMINGTON — Vaccines are noted as one of the greatest achievements in the 100 years of public health. As time goes by, we may forget how common and devastating diseases like polio once were. In 1919, influenza and pneumonia were the leading causes of death. In the 1940s and 1950s, polio crippled or killed thousands of children every year. In the 1950s, roughly 400-500 people died each year from the measles. Smallpox (now eradicated because of worldwide vaccination efforts) once killed 3 out of every 10 people who contracted it. Today, vaccines protect us against 18 deadly diseases. April not only marks the month of public health awareness but National Infant Immunization Week begins as well. National Infant Immunization week is used to encourage all children to be fully vaccinated by 2 years of age. A child that is up to date by the age of 2 will have received a series of four DTaP (diphtheria, tetanus and acellular pertussis), three Hepatitis B, three Polio, four HIB (haempophilus influenza b), four pneumococcal conjugate, three rotavirus, one MMR (measles, mumps and rubella), one varicella, and two Hepatitis A vaccines. 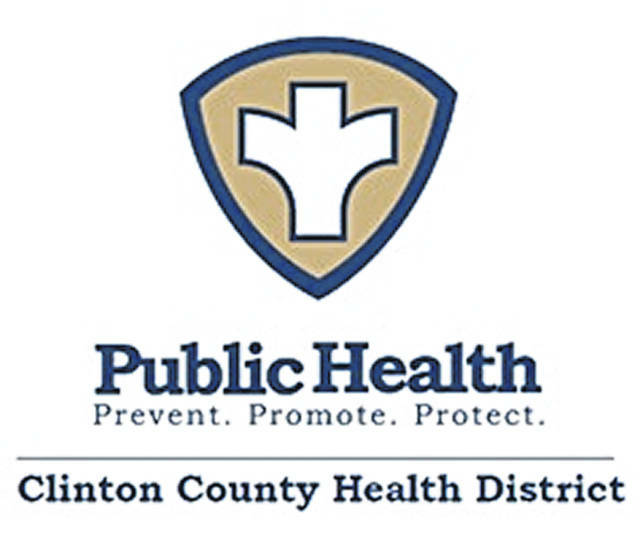 The Clinton County Health Department offers these vaccinations as well as adult vaccinations during clinic times. The walk-in clinics are held Tuesday through Thursday from 8-9 a.m.; Wednesdays from 1-3 p.m.; and the second and fourth Thursday of each month from 4:30-6:45 p.m.
CCHD is located at 111 S.Nelson Ave., Suite 1 in Wilmington, across from the fairgrounds. The department is able to accept most insurances. Anyone with questions regarding vaccinations should call 937-382-7221.